The United States of America. The punchline of our jokes. The country with the ridiculous president we like to make fun of. The country where we “thank God we aren’t stuck there, they’re such a mess.” The place where on February 14th, 17 people, most of whom were the same age as us, lost their lives in a school shooting in Florida. And where 25 people were killed in a church in a mass shooting on November 5, 2017. 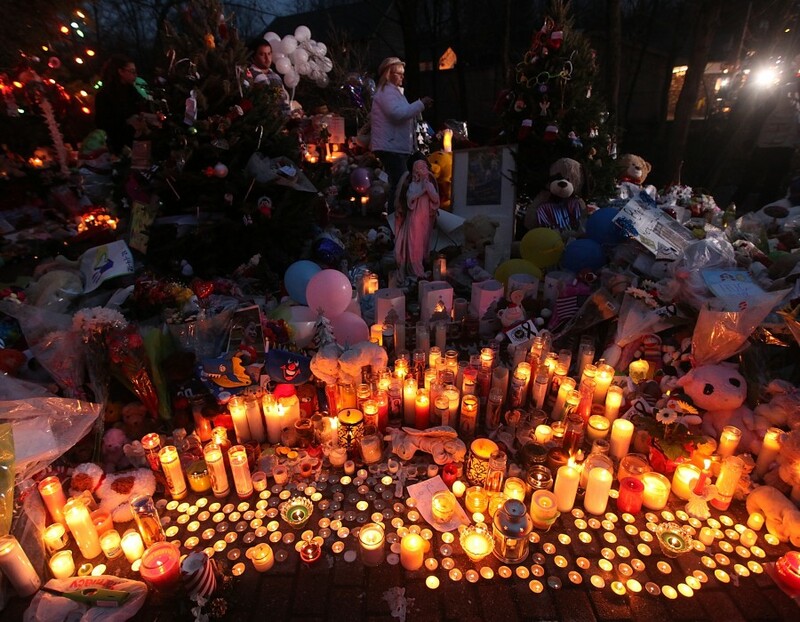 The country where December 14, 2012 marks the date 26 people were killed in an elementary school. That “godforsaken country” where 49 individuals died in Orlando, Florida on June 12, 2016. The United States, where “Route 91 Harvest festival” has become synonymous with the deadliest mass shooting in US history, killing 58 people. But hey, they just need to “get it together”, right? “We did it, why can’t they?” “We don’t have these problems, so it must be something with them.” Those are all things I have heard people say in response to these tragedies. I love Canada; I wouldn’t want to live in any other country. But please, stop thinking we are better than the US. This is not about superiority—it’s about people. Yep, people. Countries are made up of people. Canada is made up of people. The US is made up of people. People with brains, hearts, and possibilities to do something great in their lives. And there are people whose lives have been cut short, whose possibilities have been taken away, due to mass shootings in the states. But hey, we don’t live there so it’s not our problem, right? We didn’t know them. “Wow that’s awful…hey, what do you want for lunch?” Once in a socials class, the Las Vegas shooting was used as a “What’s Trending Now?” type discussion that would happen every day. Never once were the lives lost mentioned. Never once was the pain caused acknowledged. It was just numbers. And maybe you’re reading this, and you feel the same way. All those numbers I gave you? 17, 25, 26, 49, 58…you didn’t know them, so you can just think of them as numbers. I understand it; we desensitize ourselves from things for many reasons. It can be hard to feel for this person we didn’t know, who we can’t even envision. And if we can feel, it can hurt. Why would we want to be depressed or angry over it? The short answer? Because they deserve it. Because 17, 25, 26, 49, and 58 deserve for us to take a second out of our privileged lives and think about all they could have been. They were people, just like us. And we should feel upset about it, whether we knew them or not, because someone did know them. When you hear those numbers? Try and imagine faces to go along with it. Imagine faces you know, and what it would be like to lose them for no reason. People are actually experiencing that loss as I write this, and it’s heartbreaking. You owe it to 17, 25, 26, 49, and 58 to be upset, to be sad, to be angry because they were human beings. You owe it to Alyssa Alhadeff (14), Martin Duque Anguiano (14), Nicholas Dworet (17), Aaron Feis (unknown), Jaime Guttenberg (14), Christopher Hixon (49), Luke Hoyer (15), Cara Loughran (14), Gina Montalto (14), Joaquin “Guac” Oliver (17), Alaina Petty (14), Meadow Pollack (18), Helena Ramsay (17), Alex Schachter (14), Carmen Schentrup (16), Peter Wang (15), Scott Beigal (35), Sara and Dennis Johnson (66 and 77), Lula White (71), Annabelle Pomeroy (14), Haley Krueger (16), the Holcombe family—Bryan (60), Karla (58), Danny (36) Noah (17 months), Crystal (36), Emily (11), Megan (9), Greg Hill (13)—,Tara Elyse McNulty (33), Richard and Theresa Rodriguez (64 and 66), Robert and Shani Corrigan (both 51), Joann Ward (30) and her daughters Brooke (5) and Emily (7), Karen and Robert Scott Marshall (both 56), Peggy Lynn Warden (56), Keith Allen Braden (62), Noah Pozner (6), Charlotte Bacon (6), Jack Pinto (6), Olivia Engel (6), Dylan Hockley (6), Catherine Hubbard (6), Avielle Richman (6), James Mattioli (6), Josephine Gay (7), Caroline Previdi (6), Benjamin Wheeler (6), Daniel Barden (7), Chase Kowalski (6), Ana Marquez-Greene (6), Emilie Parker (6), Madeleine Hsu (6), Allison Wyatt (6), Jessica Rekos (6), Grace McDonnell (7), Jesse Lewis (6), Anne Marie Murphy (52), Victoria Soto (27), Lauren Rousseau (30), Rachel D’Avino (29), Mary Sherlach (56), Dawn Lafferty Hochsprung (47), Amanda Alvear (25), Luis Omar Ocasio-Capo (20), Edward Sotomayor Jr. (34), Franky Jimmy DeJesus Velazquez (50), Stanley Almodovar III (23), Xavier Emmanuel Serrano Rosado (35), Javier Jorge-Reyes (40), Shane Evan Tomlinson (33), Juan Ramon Guerrero (22), Eric Ivan Ortiz-Rivera (36), Peter O. Gonzalez-Cruz (22), Luis S. Vielma (22), Kimberly Morris (37), Eddie Jamoldroy Justice (30), Darryl Roman Burt II (29), Deonka Deidra Drayton (32), Anthony Luis Laureano Disla (25), Jean Carlos Mendez Perez (35), Luis Daniel Wilson-Leon (37), Martin Benitez Torres (33), Jerald Arthur Wright (31), Cory James Connell (21), Brenda Lee Marquez McCool (49), Christopher Andrew Leinonen (32), Rodolfo Ayala-Ayala (33), Luis Daniel Conde (29), Leroy Valentin Fernandez (25), Jason Benjamin Josaphat (19), Frank Hernandez (27), Akyra Murray (18), Mercedez Marisol Flores (26), Gilberto Ramon Silva Menendez (25), Simon Adrian Carrillo Fernandez (31), Oscar A. Aracena-Montero (26), Enrique L. Rios Jr. (25), Miguel Angel Honorato (30), Juan P. Rivera Velazquez (37), Juan Chevez-Martinez (25), Tevin Eugene Crosby (25), Jonathan Antonio Camuy Vega (24), Christopher Joseph Sanfeliz (24), Paul Terrell Henry (41), Joel Rayon Paniagua (32), Jean C. Nieves Rodriguez (27), Yilmary Rodriguez Solivan (24), Angel L. Candelario-Padro (28), Antonio Davon Brown (29), Geraldo A. Ortiz-Jimenez (25), Alejandro Barrios Martinez (21), Tara Roe (34), Jordyn Rivera (21), Quinton Robbins (20), Brennan Stewart (30), Michelle Vo (32), Keri Galvan (31), Melissa Ramirez (26), Angela Gomez (20), Hannah Ahlers (34), Cameron Robinson (28), Carly Kreibaum (33), Austin Meyer (24), Carrie Barnette (34), Teresa Nicol Kimura (38), Rhonda LeRocque (42), Jack Beaton (54), Heather Alvarado (35), Candice Bowers (40), Bill Wolfe (42), Christiana Duarte (22), Calla-Marie Medig (28), Charleston Hartfield (34), Dana Gardner (52), Denise Cohen (58), Dorene Anderson (49), Sandra Casey (34), Susan Smith (53), Lisa Patterson (46), Steve Berger (44), Denise Burditus (50), Andrea Castilla (28), Laura Shipp (50), Jessica Klymchuk (34), Austin Davis (29), Stacee Etcheber (50), Rocio Guillen Rocha (40), Kelsey Meadows (28), Kurt von Tillow (55), Brett Schwanbeck (61), Neysa Tonks (46), Jennifer Topaz Irvine (42), Thomas Day Jr. (54), Lisa Romero-Muniz (48), Brian Fraser (39), Chris Hazencomb (44), Jordan McIldoon (23), Victor Link (55), James "Sonny" Melton (29), Jenny Parks (36), Patricia Mestas (67), Rachael Parker (33), Carrie Parsons (31), Derrick “Bo” Taylor (56), John Phippen (56), Chris Roybal (28), Erick Silva (21), Bailey Schweitzer (20), and Adrian Murfitt (35).